chevy box truck 2003 3500 16 ft with ramp 158,000 miles just had transmission rebuilt, under warranty. low oil pressure 6.0 engine automatic gas. 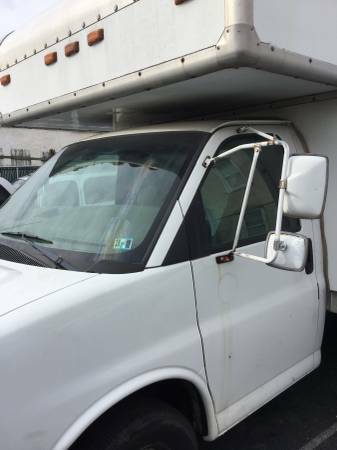 starts up and runs great, but did not drive it with low oil pressure because I did not want to damage engine, could be oil pump but I am downsizing to a van, and just looking to sell instead of fix $3750.00 Truck is in chester pa.